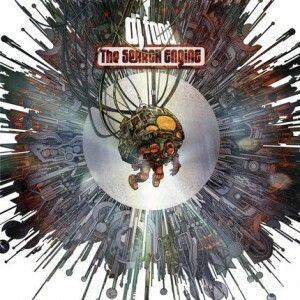 The new DJ Food “The Search Engine” album is released this week in the US on Ninja Tune. This stunning album includes the track“Prey” featuring vocals by JG Thirlwell. The album will also feature Thirlwell compadre Matt Johnson, on a DJ food cover of a The The track “Giant”. It’s available from Amazon, ITunes, Bleep and other fine retailers. If you look hard enough you might even find the deluxe limited comic book version which contains the album on CD and a flexi-disc. Check out Strictly Kev / DJ Food’s incredible blog.